IS THE SUMMER SCHOOL ABOUT ARCHITECTURE? Not really, but most of our students have an architectural background. 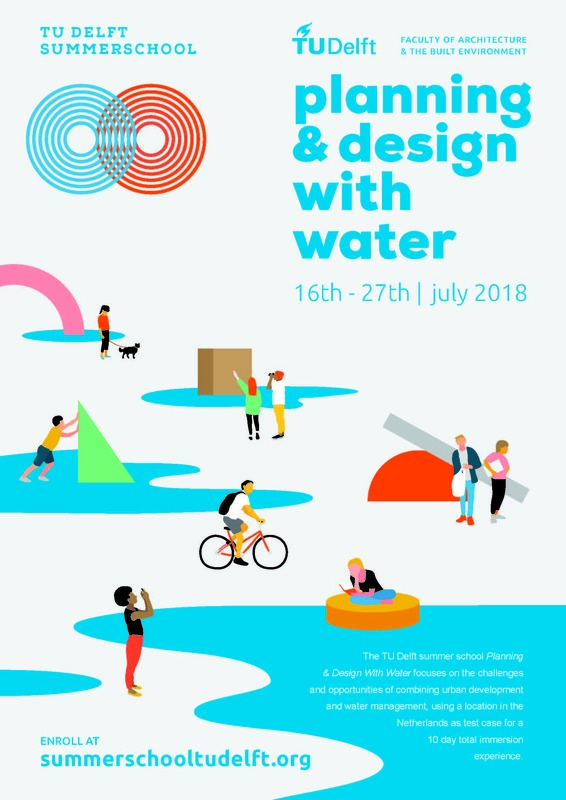 The Summer School is run by the Department of Urbanism of the FACULTY OF ARCHITECTURE AND THE BUILT ENVIRONMENT of the TU Delft. Urbanism is a discipline concerned with the broader built environment and blends urban planning, urban design and engineering. We are located in the Faculty of Architecture of TU Delft, but we focus our efforts on urban planning and urban design. Although the architectural object is an essencial part of the built environment, we do not focus on building design. However, architects enjoy our school because it is a very good exercise in city making, urban design and planning. Architects who want to understand urban planning and design in depth are encouraged to apply. To understand what Urbanism is at TU Delft, please look at this presentation and at the mind-maps produced by our students. It is also useful to understand how we use design in academic research. IS THE SUMMER SCHOOL ABOUT ENGINEERING? Yes, and no. Engineering elements are taken into account, but the emphasis is on urban planning and design of the built environment. Engineers generally enjoy this school, because it enables them to understand how urban planning and design “work” and how they must work together with engineering. They find it useful for their careers. 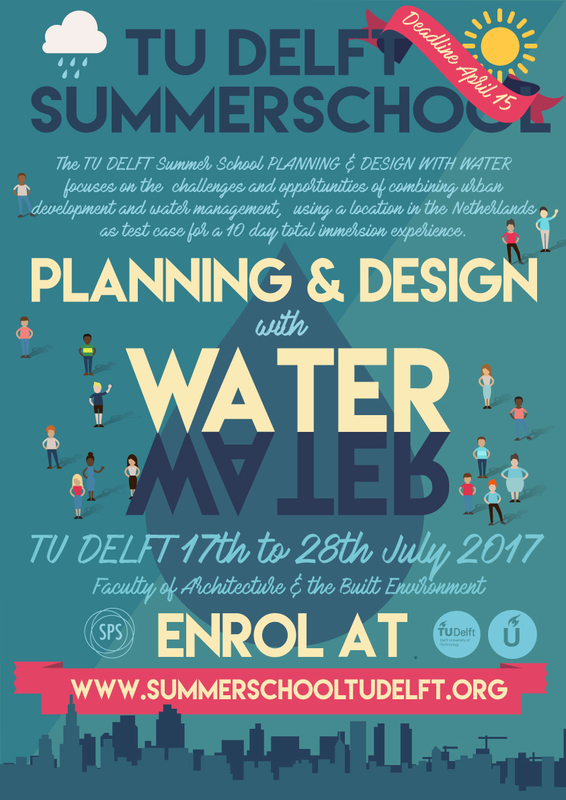 IS THE SUMMER SCHOOL ABOUT A TECHNICAL APPROACH TO WATER MANAGEMENT? Yes, and no. Technical approaches are introduced but only as far as they help us plan and design a better urban environment. More emphasis is put on strategy and plan-making. The Summer School is an exercise on spatial plan-making and design in a multi-actor/multi-stakeholder environment. It reproduces the approach of the Department of Urbanism, which blends the human sciences, the physical sciences and design. Its main objective is to produce a vision and strategic plan to make an urban area resilient and sustainable, including the spatial interventions (spatial designs) necessary to make that vision happen. You will be invited to contribute to a plan and a design from your own professional and academic perspective. We believe that spatial planning and urban design are trans-disciplinary activities, so your contribution is really welcome. IS THE SUMMER SCHOOL FIT FOR PhD CANDIDATES and Post-Doc researchers? Unfortunately, we don’ think it is. The Summer School is a mix of lectures and exercises in spatial planning and design. It has a practical character, underpinned by research. We do not think the Summer School can add to your doctoral studies. We are, however, happy to host a few PhD students who wish to learn about how we teach these subjects at TU Delft or who feel they can contribute to the school somehow. Please, write to us for inquiries.